Smoking meat at home can be done using a variety of methods. A grill is often a good option to use for smoking meats if a smoker is not available. 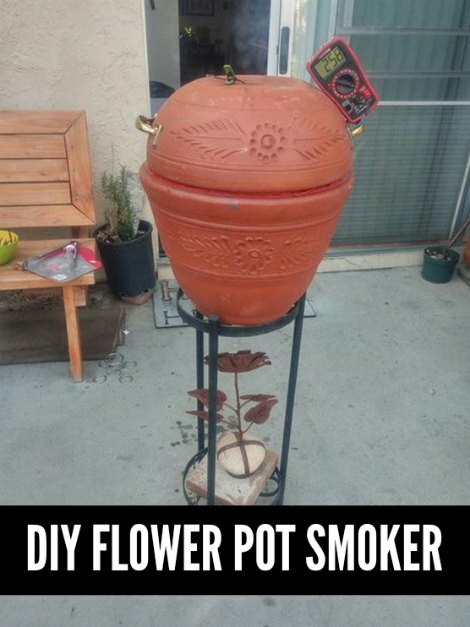 However, you can use a few basic supplies to make a flower pot smoker that will do the job just the same. If you have a few old clay flower pots at home, then you can use them to make a flower pot smoker for a patio or a deck. This is a cheap way to make a smoker that will work just like an expensive piece that is made from stainless steel. A flower pot smoker is a DIY project and means you may find that a few changes to the design may be necessary to meet your needs. However, a few parts will be important for the smoker. This includes the handles and a few internal pieces that will complete the look.